Dolphin Mini Jumbo Stainless Steel Toilet Roll Dispenser. Dolphin White Steel Mini Jumbo Toilet Roll Dispenser. 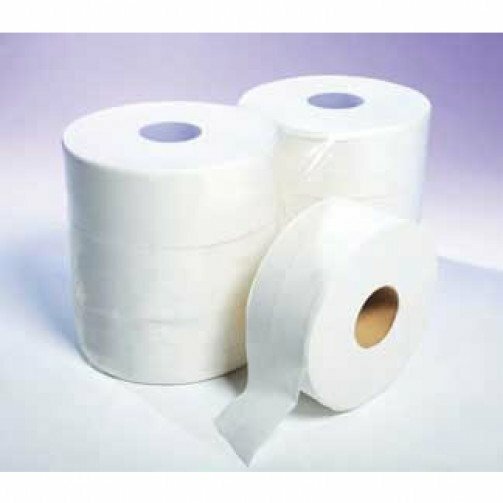 Mini Jumbo toilet rolls supplied in a case quantity of 12 rolls per case. These rolls are made of soft white tissue which is one hundred per cent recycled. Each roll is 200 metres long by 90mm and has a 2.25inch core. 100 % Recycled Mini Jumbo Toilet Rolls.